Each year, almost a billion pounds—or nearly three pounds per person—of pesticides are sprayed across the U.S. Before herbicides and pesticides were introduced 57 years ago, 37% of our crops were being lost to pest damage. Today, despite the pervasiveness of pesticide use, pests are destroying MORE than 37% of our crops. And it’s not just in the U.S. We import heavily sprayed foods from countries that use chemicals the United States banned long ago. While pesticides have not had any significant effect on crop loss, they have definitely had an effect on our health. I think pesticide exposure levels in our food, water and environment are cause for concern today, but I am even more concerned about the effect they will have on future generations if we don’t start making some changes in the way we grow—and buy—our foods. In the last article, I looked at which fruits and vegetables are the most pesticide-laden and how you can make the best choices when buying fresh fruits and vegetables. Today, I’m going to discuss some of the effects these choices have on our health and look at other issues worth considering, including whether to buy food from abroad. Pesticides are toxins that can affect our nervous systems and damage our reproductive systems. (Not surprisingly, chemicals designed to prevent pests from reproducing can affect our ability to reproduce as well.) Some pesticides are more harmful to us than others and the extent of their effect on our health depends on which pesticides we are exposed to, in what amounts and at what frequency. Some, like organophosphates and carbamates, affect our nervous systems. Others disrupt our hormones and affect the endocrine system. Some are known carcinogens, while others irritate skin and eyes. Some of the acute conditions pesticide exposure can trigger include blurred vision, headaches, eye problems, skin conditions, seizures, diarrhea, nausea and wheezing. Mild to moderate pesticide poisoning can even present symptoms similar to asthma, bronchitis and gastroenteritis, especially in children. Researchers analyzed the urine of over 1,000 children and found that the kids with above average levels of one common pesticide byproduct, malathion, had double the chance of receiving an ADHD diagnosis. Since pesticides are designed to have toxic effects on the nervous systems in order to kill the pests, researchers concluded it is not a stretch to imagine that these chemicals can have an effect on the nervous systems and brain chemicals of children exposed to them. We are all born with some pesticide exposure in our systems passed to us in utero. We add to that through our daily food and water choices and our environmental exposure. Some of us are more susceptible because of our genetic makeup or higher in utero exposure levels, but all of us can manage our pesticide exposure by making better choices. I think our pesticide exposure through food, water and environment is so pervasive today that we should all try to minimize our exposure. If you have kids, are pregnant, have a compromised immune system or make lifestyle choices that you know place greater burden on your liver, it is even more important to pay attention to your food choices and avoid “the dirty dozen” most heavily pesticide-ridden produce and buy organic instead. In generations past, we ate along with the seasons, varying our diet depending on what grew at that time of year. Today, we eat much more limited diets, as many of us tend to eat from the same food groups repeatedly with little deviation. As a result, we eat our favorite fruits and vegetables year-round. This practice not only restricts our diets and limits our exposure to the many other fruits and vegetables available each season, but it has also resulted in big business for international produce exports. 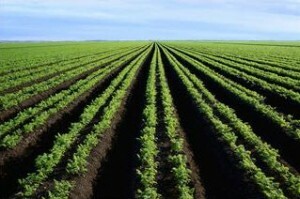 The importation of fruits and vegetables raises a number of concerns about the carbon footprint of our foods, the use of pesticides illegal in the U.S. that are still being used in foreign countries and the nutritional value of food that is picked before it is fully ripe so that it can make the long journey to us before it spoils. Though the U.S. has banned the use of some known carcinogenic chemicals in our food production process, several developing countries routinely use such chemicals in farming. Just one example of this (and sadly there are many more) is the pesticide DBCP or Dibromochloropropane. In the late 1970s, workers at a pesticide plant in California discovered that DBCP exposure had rendered them sterile. Some companies stopped production while an investigation was undertaken, but some did not. (One company, Amvac, told its stockholders that they would continue to sell it even though it had suspected carcinogenic and mutagenic properties because a vacuum existed in the marketplace during the investigation and they hoped to take advantage of it.) After a two-year investigation, the Environmental Protection Agency concluded that DBCP does cause sterility and it was banned for use in the United States. If the FDA does test a produce sample, they remove a small section but send the rest to market while the tests are being run. So if they do in fact find excessive pesticide levels or other concerns like unknown poisons, there is little consequence because the American public has already consumed the produce by the time it is discovered. In addition, the nutritional value of foods that travel long distances is often compromised. In order to make it to market prior to spoiling, fruits and vegetables are picked early, before they are ripe, and then sprayed to protect them from ripening too soon while still in transit. Food that is picked early before it fully ripens is not fully developed and its enzyme profile is different than that found in a mature, ripe version. For example, unripe fruit has an insoluble form of pectin known as protopectin. But as it ripens, enzymes make the pectin soluble. 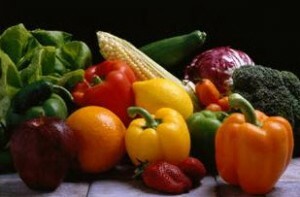 In the case of fruit or vegetables from far away, they may never reach their ripe and mature nutritional state because they are sprayed to delay ripening and we consume them prior to that ever occurring or because the chemicals sprayed to prevent them from ripening on their journey effectively prevent them from ever reaching full mature development. Buying organic reduces our pesticide exposure in foods we eat, but it also reduces the pesticide exposure in our environment. Pesticides remain in the soil—often for many years—affecting future crops, sometimes even generations later. In addition, spraying results in airborne chemicals that drift over homes, gardens and schools creating health concerns for many people—especially children and those living in rural farm areas. There are so many great reasons to opt for organic produce, but it is also important to support our local farms and farming communities, as there are greenhouse gases emitted from airfreight to consider. I’ve heard the argument that buying air freighted out-of-season produce is the equivalent to driving a Hummer. So how do you decide between an organic apple from New Zealand or a conventional pesticide-laden product from a neighboring farm? The one exception to this is “the dirty dozen” fruits and vegetables discussed in the prior article, in which case the harms of the heavy pesticides outweigh any other considerations for me as I have developing children. So when buying those fruits and vegetables (and a few others toward the high end of the list that we eat regularly) organic is always my first priority.